Recently on our blog we shared that building a platform is the #1 reason to write a book. But how do you actually build a platform with your book? Lead magnets are essential for capturing email addresses and should be part of your content outline. We recommend lead magnet placement be a top consideration when planning your book’s content to maximize the potential to build your audience. 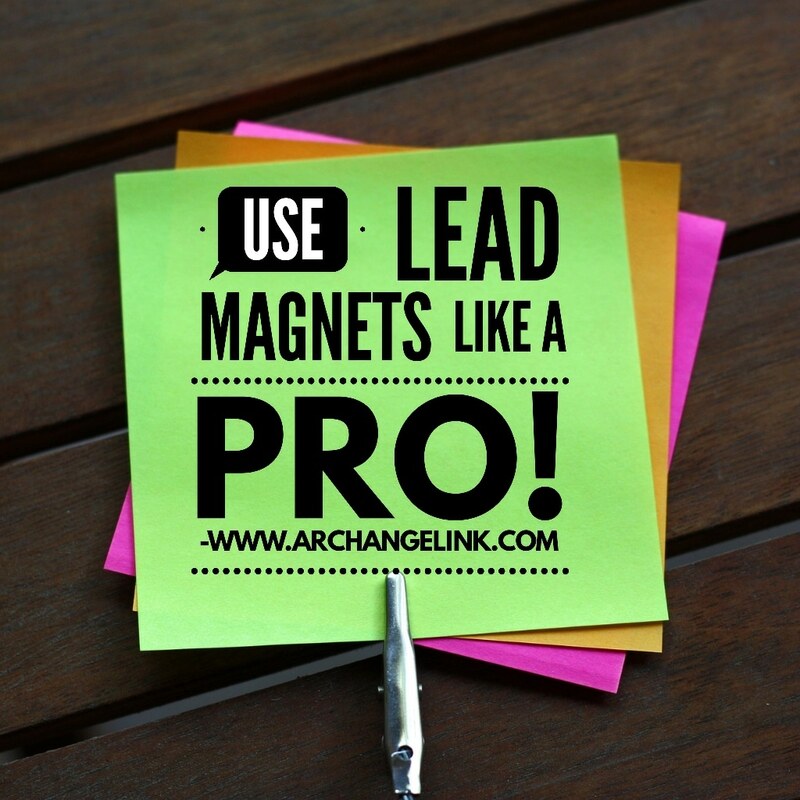 Not only does having a lead magnet add a level of professionalism to your book, it’s also a great way to give even more high-value content to your readers. Download some of our basic templates here for what a lead magnet page (call to action) might look like, along with 2 other pages we recommend having in your back matter—a thank you and call for review. Immediate value to the reader. Otherwise, why would they take the time to download it and give you their email? Fit in with the content of the book. It could be valuable for sure, but if it doesn’t relate, you won’t get the right readers. Easy to access. Don’t make it difficult for the reader to get it! Make the process as quick and painless as possible. Follow those three steps, pick one of the ideas below, and watch your subscribers come flooding in. If you are new to this process, I recommend following the links below and signing up for the lead magnets to get a feel for how the process works. Once you know how these high-level authors do it, you can emulate their process and succeed! I was surprised to find that most top authors out there are NOT capturing email addresses with their books. Huge mistake. Jump in now and position yourself a step above the rest. You can do research on books in your genre by using the “look inside” function on the book’s page on Amazon. We browsed some of the best selling nonfiction books on Amazon to show you exactly what some of the top authors are doing to increase their platform. This list is not merely a generic “give them free stuff” post. You will see what people are actually giving away, with links to their landing pages. Steve offers his Kindle Publishing Checklist, which is a 46-point report for new authors. It fits his audience and is highly valuable. Win-win and a great lead magnet. The offer here is for the Habit Blueprint Workbook. The workbook directly relates to the content of the book by giving readers a guide on how to do the information contained within. Patrick’s process is simple, easy to follow, and all you need to do is enter a quick email to get access to the bonuses. Hal Enrod invites you to go to his Facebook page to join the Miracle Morning Community to get the most out of the book. He isn’t getting an email out of the lead magnet, but he is inviting readers to join him for more than just the book. Shawn thanks readers for purchasing his book, and then asks them to sign up for his email newsletter to receive more information related to his book topic. This can work if the book does extremely well, and it’s a good reminder to have at least one lead magnet in the book to capture email addresses. That said, keep in mind that the better the perceived value for the reader, the higher the conversion rates. Scott shares his Relaunch Your Life Action Guide. His landing page is simple and enticing and it’s clear what the user needs to do to get bonus. The lead magnet is exactly what someone in his target audience might need, thus it works for capturing the right leads. Christine shares two lead magnets in her book. A 10 minute guided meditation and the Be-Do-Have Clarity Pack. David uses a list of “Questions to Jump Start your Journey to Wealth” to encourage people to sign up. This is a unique lead magnet that pairs nicely with the book as it will get you thinking along the lines of the book’s content. Again, make it valuable to the reader and you can’t go wrong. The landing page looks good, and has a very simple interface. The cover of the guide looks professional, and the sign up process easy. A simple call to access the special resources is all that is used here. Simple, yet very effective if people want to get more out of the book. As confirmed by LeadPages, resource guides are the #1 lead magnet to get subscribers, therefore, simple often works wonders. Browse the above books, as well as some in your category, and see what other authors are doing. You might find some great ideas to help get your creative juices flowing on what to put in your own book. Remember to make the lead magnet valuable and worthwhile for the reader and you will see your email sign ups increase and your platform grow. Good luck getting those sign ups!